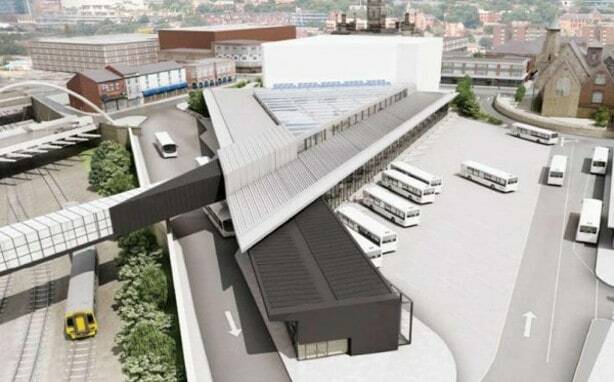 The £48 million Bolton Interchange project is one of three major bus interchange projects being brought forward by Transport for Greater Manchester. Kier have constructed a new bus station opposite the current train station on Trinity Street, which is linked with a new footbridge. Works included pre-demolition work, including archaeological studies and utility disconnections and diversions. The construction process involved the manufacture off site and delivery of over 850 pre- cast concrete units. The first challenge of this project was the demolition of existing buildings and the service isolations and diversions. As the site was limited for space the site welfare facilities were located on a nearby car park, within close walking distance to the site. Prior to the delivery of the welfare units WysePower had engaged with Electricity Northwest for a temporary electrical supply and United Utilities for a temporary water supply. We provided bespoke GRP housings for both these connections which saved both time and money. In addition to this was a bespoke external temporary lighting scheme that included energy saving LED luminaires, automatic control and safety lighting to an access road for Network Rail that had to be kept open at all times. Due to the large distances between the buildings and the remote site welfare facilities we supplied and installed a wireless evacuation system, this also gave Kier the freedom to alter and change access routes without the need to install additional cabling. Negotiation of temporary utilities supplies with service providers. Provision of temporary electrical and water systems, temporary lighting, utilising energy saving LED units, and a wireless evacuation system. WysePower have worked closely with Kier at tender stage and developed a scheme that reflected the specific project requirements. As the construction of the building was made up of over 850 pre- cast concrete panels we had to develop a method of securing the LED floodlights to the columns in the under croft to prevent damage. We developed a captive fixing system that allowed the floodlights to be fixed to the concrete columns without damaging the precast unit. WysePower also provided a rain water capture system at the welfare units which was used to supply water to flush one of the WCs within the facility. This helped in reducing water consumption and also gained Kier additional recognition by the Considerate Constructors Scheme.